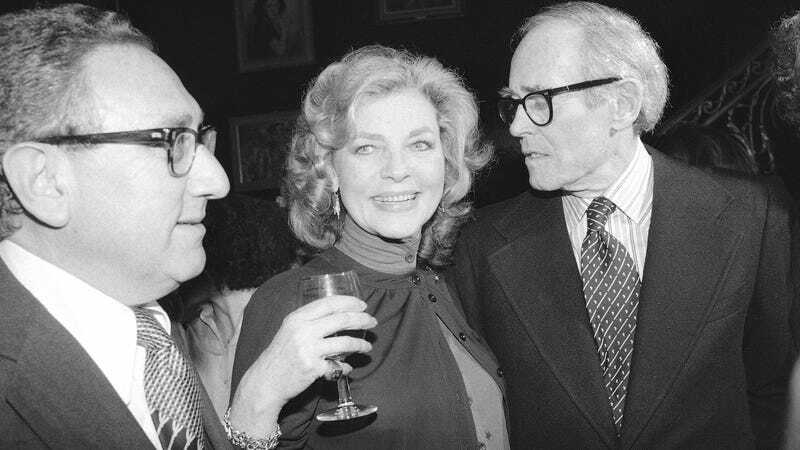 Fun fact: While writing her memoir in the office of the publisher Knopf, Lauren Bacall occasionally brought donuts for everybody. Could you eat a donut in front of Lauren Bacall? I couldn’t. Betty didn’t need a collaborator, and in any case would never have put up with one. What she needed was a way to work. After a month or two she told me she just couldn’t write at home: too many distractions. So I gave her an office at Knopf, and every day she was in town—every day—she turned up and got down to work, writing in longhand on long yellow pads, wandering around the office in her stockinged feet, getting coffee for herself, and chatting with the gang. On red-letter days she’d bring in a box of doughnuts for us, first come, first served. And at the end of every day, little elves out at the front desk would type up what she’d written for me to look over. Oh, and: “Can I forget that when I went to Atlanta to conduct a public interview with her for the American Booksellers Association convention there—she was the star speaker—my main responsibility wasn’t the interview but carrying her electric curlers with me on the train to Georgia?” Every man in publishing should be assigned a duty like this at least once annually. The book was The Making of the African Queen (subtitle: “How I Went to Africa with Bogart, Bacall, and Huston and Almost Lost My Mind”). The work went easily—I would walk through our common garden and in through her back door to go over new pages with her, usually in her bedroom: she liked to receive in bed. Just as the manuscript was more or less complete, the news broke—on the front page of The New York Times—that I was leaving Knopf for The New Yorker. That morning, in a fury, she barreled into my office, uninvited and unannounced, to denounce my treachery. I had tricked her into signing a contract when I knew I wouldn’t be there to oversee her book and its publication. The full Vanity Fair piece is worth reading—it’s not always friendly, especially to Hepburn, but it’s certainly dishy.